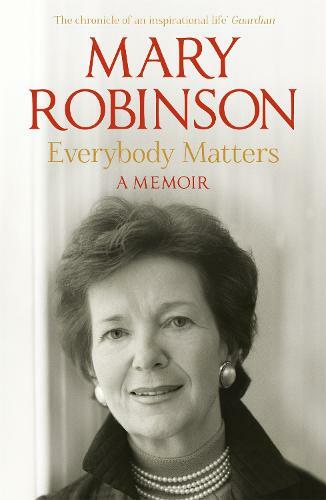 The first woman President of Ireland, who became UN High Commissioner for Human Rights, Mary Robinson has spent her life in pursuit of a fairer world. Now, for the first time, she reveals what lies behind the vision, strength and determination that has helped her to achieve so much for human rights around the globe. She describes the upbringing which gave her her strong sense of values and how she came into painful conflict with her parents - marrying against their wishes and, later, helping to legalise contraception in a deeply Catholic Ireland. As a barrister she won landmark cases advancing the causes of women and the marginalised against the prejudices of the day. When - to the surprise of many - she became the first woman President of Ireland in 1990, she put Ireland firmly on the international stage. Accepting the position of UN High Commissioner for Human Rights in 1997 was her biggest challenge and here she describes the huge political difficulties she encountered among the many triumphs. Subsequently, based in New York, she led Realizing Rights for eight years, pioneering how to implement in practice economic and social rights: working in African countries on health, decent work, corporate responsibility and women's empowerment in peace and security. Now heading her own Climate Justice foundation she has succeeded in finding the independence she needs to work effectively on behalf of the millions of poor around the world most affected by climate change. Told with the same calm conviction and modest pride that has guided her life, Everybody Matters will inspire everyone who reads it with the belief that each of us can, in our own way, help to change the world for the better.